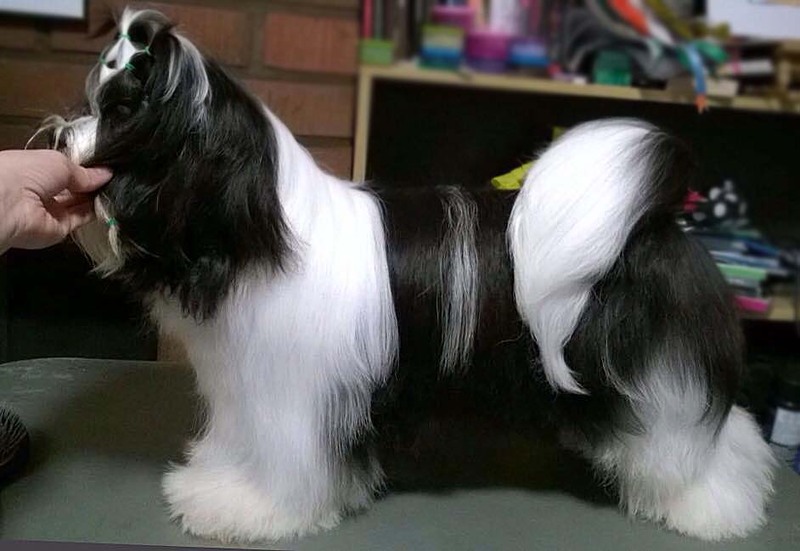 This handsome black & white particolor boy is owned by Eliska Vaskova, Kennel Dar Tibetu, CZ. We are very happy and proud of how well they have done. 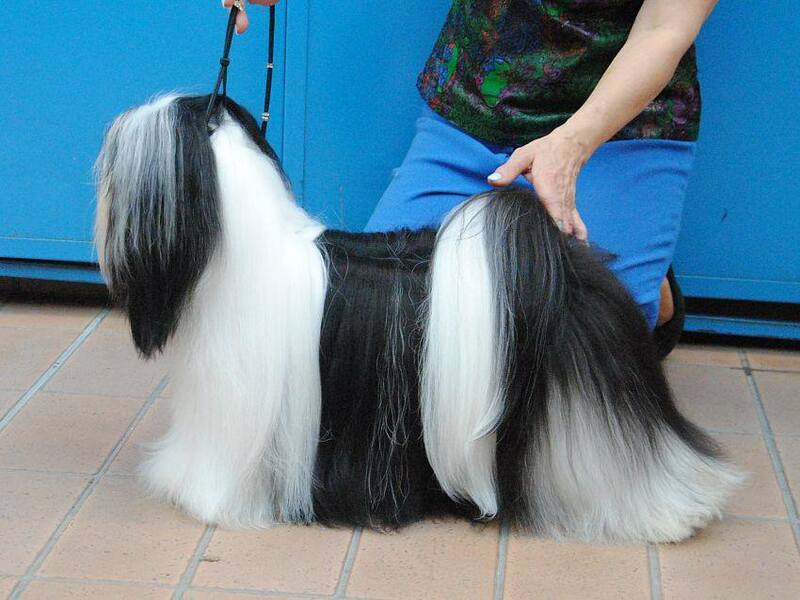 Domino is owned by Eliska Vaskova, kennel Dar Tibetu and lives in Czech Republic. 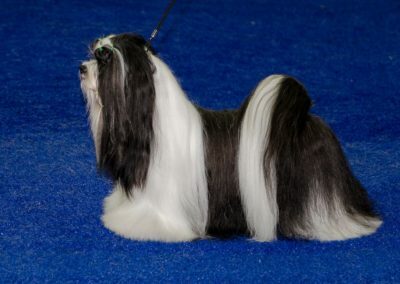 At 2,5 years old he had gained all 6 champiotitles, including international champion CIB. Domino is very sweet particolor boy. He was visiting us from August 2017 to February 2018 and everyone just loved him. 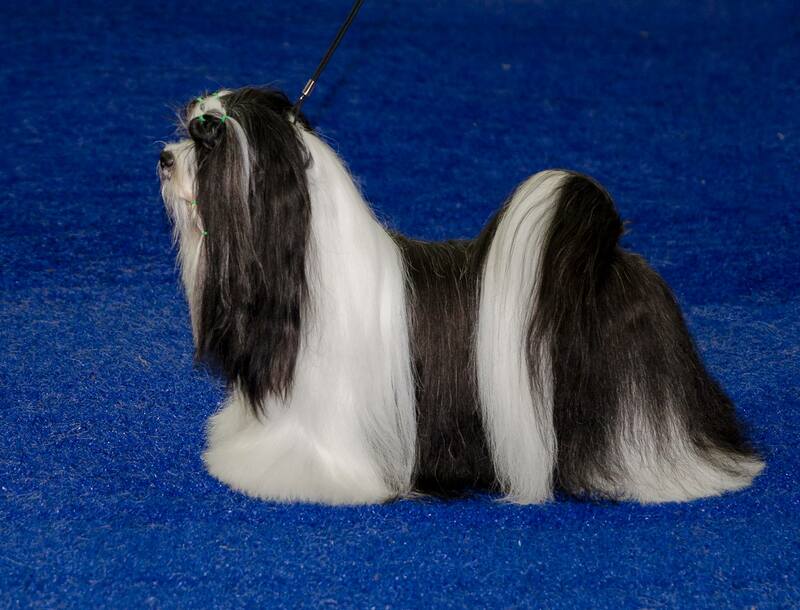 Dominos sire is almost all British lines where we have got nice strong bones and wonderful characters. The pedigree of his dam goes to both Hamilton lines and old European lines spiced with British lines. This boy has been very healthy and does not have any heriditary problems. He is DNA-tested for PRA4 and is free from the gene. He is though prapso carrier. Domino left two litters of puppies to Finland. The first one was born in kennel Taivaskatseen, a wonderful litter of 2 boys and 3 girls. There were nice colors, black & white, 2 particolors and 2 golden sables. Second litter was our own litter of 6, 5 boys and 1 girl. We got only solid colors, 2 deep golden sables and 4 black & whites. 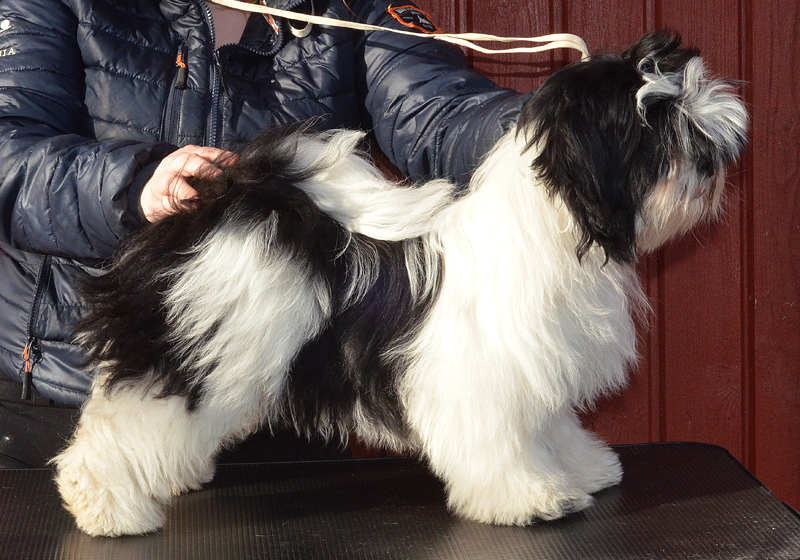 Domino has some promising litters in Czech Republic and Slovakia.